City College Chinatown/North Beach hasn't had it easy coming into this world. Ripped for its curvy glass design, then opposed by neighbors (repeatedly), then knocked around a bit for having windows that were too big for the demure, neighboring Colombo Building. That's why you can color us surprised that, after numerous delays, the campus finally had its official groundbreaking this past Saturday. In the rain, even! Good on them. (The golden shovel, however, stayed under wraps due to inclement weather.) As you're well aware, the new campus will have two buildings: a 14-story, de-curvified one designed by EHDD, and a four-story friend abutting the Colombo Building co-designed by EHDD and Barcelon + Jang. 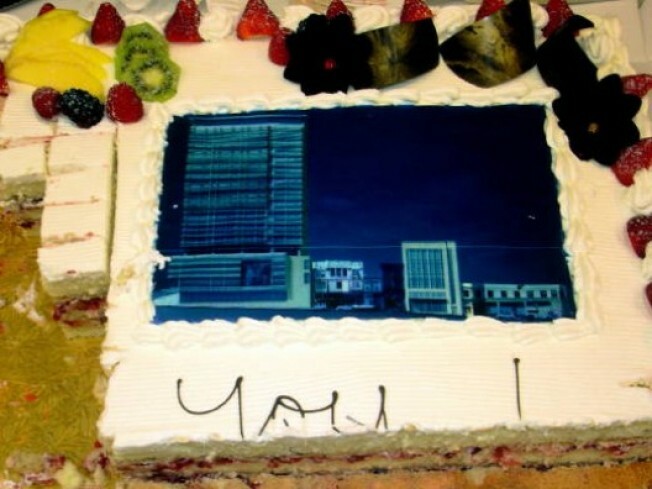 Best part: the archi-cake. Or Gavin Newsom... Nah, the cake's better.